The Mac Mini computer is the cheapest desktop computer Apple offers to its customers. Depending on what type of use you have this can be the perfect computer for you. If you didn’t know, when you buy this computer you only get the computer itself. You will have to buy a keyboard, mouse and display of your own choosing. This keeps the price tag lower (compared to Apple standards that is), and in my opinion it is nice to be able to choose the keyboard and mouse I want to use myself. An Apple Mini Mac … Is It Slow? Everything is relative but for its size the short answer is: no. If you want to dig deep in numbers you could always check out mac mini computer benchmarks from the guys making GeekBench. This will give you something to compare with against other Macs. The unit is practically noise-free. You wont get a headache having this in your room, that’s for sure. Also the computer is ridiculously small. Place it just about anywhere you want. It looks pretty darn nice too! For general home computing this will do nicely. You can play some games on it. Of course, do not expect to be able to run the latest and greatest graphic intensive games. But some of them can be run. This is the perfect computer if you just do some casual stuff. Like surfing the web, reading e-mail, editing some photos / video, listening to music. Even watch movies if you want. It will do all that and a bit more. Connect it to the TV via the HDMI port on the back for example, I have done so with mine. You also get the Mac Mini with several BTO configurations, like bigger hard drive, more memory and even a little faster CPU if you are willing to pay for that. This computer is also great for some smaller server tasks. You can set it up as a Mac Mini server to host your own Blog. Store your iTunes library or even use the Server software from Apple to really do some interesting things. If you prefer using a linux diet here are instructions for ubuntu. The Mac Mini computer can also be used as an mac mini mediacenter. It is not so hard to understand why, the computer is small so it is easy to place in your home. It makes practically no sound at all. We Mac OS X users also have the perfect free HTPC software to make all this work together. In 2010 Apple added HDMI ports to this computer, this makes it easy to hook it up to your TV. With the Mac Mini model introduced by Apple in 2010 it became easier to replace the RAM yourself. Even Apple themselves advertise this feature on their own webpage. The mini supports up to 8GB of RAM and you can replace it yourself if you like. Just remove the bottom cover of your mac mini computer and you get access to the memory slots. The power supply is built-in now, you only need a small power cable. 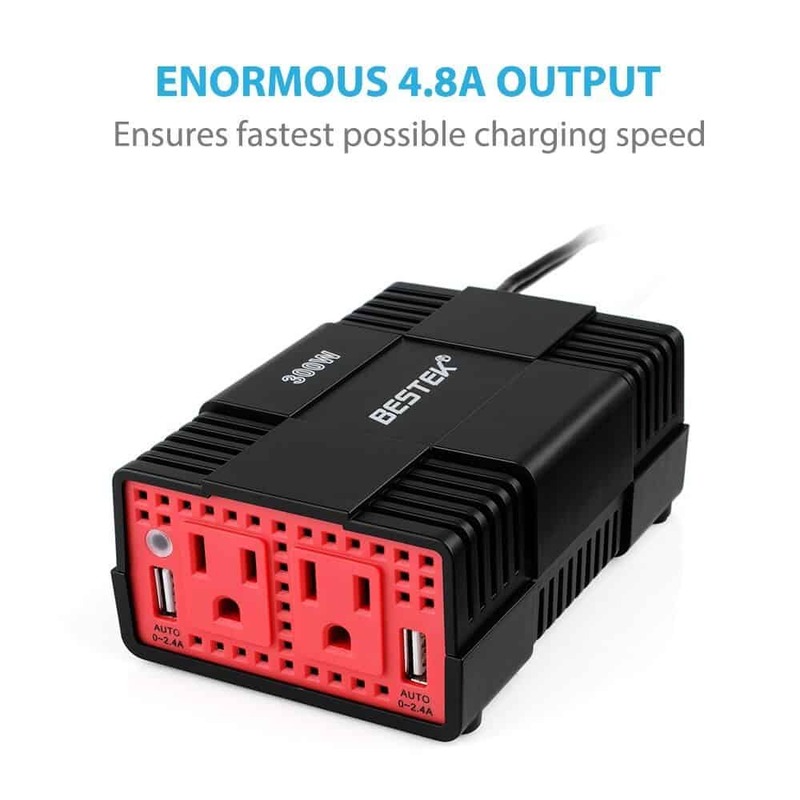 No need for a big power brick laying on the floor anymore. Apple have removed the DVD drive, a good move if you ask me. How often do you use that drive anyway? Only with OS install and that can be done using a USB stick. It also now comes with fusion drive as an option. Problem Ejecting Your Macs DVD or CD? Some are struggling with the fact that they have a CD that refuses to eject itself when you press the eject-button. This can be rather annoying, but fortunately it is often easy to solve. Here are some tips for you if your mac cd won’t eject. 1. If the CD dosent come out, close all applications and try again. It may be some application you have open, it might use the CD even if you are not aware of this. 2. If this does not help, open the terminal and type the following: drutil eject and this will hopefully eject the CD. 4. CD still stuck? OK… reboot the machine, and during startup, press and hold the mouse button. (If you use the Mighty Mouse, or other multi-button mouse, it is the left mouse button that has to be held down.) After a few seconds, this should eject your CD. If none of these tips work you probably need to call Apple Support. Let us find Mac Backup Software but remember that a Mac is just like a regular PC in so many ways. It has a hard drive, a motherboard, memory, CPU and so on. Many of these components are not just used in a Mac, but also regular PCs. For instance the hard drive in your Mac is just a regular standard notebook hard drive found in other PCs as well. Just because this hard drive is in your Mac it doesn’t mean it will never fail. All hard drives can fail, even the ones in a Mac so you need to take some precautions. If you have a fairly new Mac with SSDs it is in my opinion even more important to have a backup routine. If a regular hard drive fails there is a chance of getting the files back. If an SSD fails it is much more difficult. Imagine all your family photos or videos wiped, just like that. Years of memories gone forever. With no other place to get them back. Would that make you sad? I guess so … deep inside you know it is important to take backup of your data but you haven’t done so yet. You will regret it later, I can tell you from my own experience. When I was younger I made some music on a hobby basis, I still do but not as much now… All was well and I actually was able to create some tracks people liked. As years went by I was careful not to delete the original project files, but one time … Yes, they where gone, just like that. And I didn’t have any backup. Imagine how annoyed and sad I was, this was actually many hours of work, gone. I still had the finished MP3 music files, but not the project files so I could not go back and edit and change the music if I wanted. In Mac OS X Leopard Time Machine was introduced, and this was made to solve the problems I have mentioned above. The laziness problem. You go out and buy an external drive for your computer, plug it in and tell your Mac to use this as your backup disk. Time Machine then starts the initial copy to the drive. The initial copy will take some time the first time. Then it backups your changes every hour. This is faster. Some argue backing up every hour is too frequent, you can not easily change this yourself but if you use the free software TimeMachineEditor the backup frequency can be changed easily. So please, make sure you backup your files using Mac Backup Software, you do not know how much your files are worth until you’ve lost them forever. If you are like me you want to get the best sound quality from your portable device as possible. There are some ways to achieve this and I will show you how you can do just that. Maybe you have wondered how you can fit so many songs onto your device, and still have room for thousands more songs. The answer is compression. If we just copy a CD without compressing it into MP3 files it would not hold so many songs. And it would be painful to transfer the songs over the Internet, because of its size. If we DID copy a CD directly without doing anything, the sound quality would likely be much better, you might hear more details and the music quality would likely be a lot better. And that is almost exactly what I am going to guide you through right now. Hold on! wont this fill up my device fast?, and give me less room for songs? Good, you understand me. You are absolutely right, this will fill up your player pretty fast but let me ask you … How many songs or albums do you really listen to? Do you listen to thousands of songs? Or do you have favorites you mostly listen to? Do you really want the best sound? Right, rip those favorites of yours in Apple Lossless and keep those songs you listen to less in their current quality state. I will now guide you in how to rip your CD in Apple Lossless with iTunes. Insert your CD and this window will popup, select NO here because we are going to change some settings. Now get into the Preferences. Choose to import using Apple Lossless Encoder. Then click OK to get out of this window, and OK again in the other window. Now click the Import CD button in the lower right corner of iTunes, and it will start to rip the CD and encode it with our newly set settings. Now you just connect your iPhone, iPod to your computer and drag the newly ripped CD to your iPod, and you can enjoy lossless music on the go! Or stream it with Airplay! What about FLAC support in iTunes? I have to confess, sometimes it annoys me that Apple insist on doing things his own way. For people having their entire music collection in FLAC format it is cumbersome to get it over to iTunes. First you have to decode the FLAC files to WAV for example, then you have to re encode those to Apple Lossless … and not to talk about the metadata lost in the conversion process. Pretty annoying to punch in the track names again, but there is a solution. And as always I try to find FREE solutions and I found one. Your solution is the following free application: X Lossless Decoder. This will help you with the entire process and save you a lot of time! If you want to get more battery time out of your macbook battery read this guide for some general guidelines and tips that will help you improve the battery life of your laptop. First, read about: Learn Battery Care and how-to take care of your MacBook Battery and especially the section where it explains how to calibrate your battery. Calibrate your battery first, it is important if you haven’t done it already. Notebooks today have many features which can drain the battery. Wireless networking, bluetooth, screen brightness, power hungry applications. You can disable some of these features easily if you do not need them, this way you will save precious battery juice! Click the battery icon in the menu bar, you should now get information about applications or settings that use up power. Screen brightness is often one of them. If you have no need for Internet access there is no reason to keep the wireless network active, this put a drain on the battery and will decrease the time you get to work with the computer. Click the Airport icon on the top menu-bar and chose turn off the Airport card. If you don’t use features like remote unlock via Apple Watch, bluetooth keyboard or mouse you can deactivate it to save a little more battery. You can also save a little battery time by decreasing the screen brightness. Turn it down until you feel comfortable with the brightness. For me, max brightness is almost too bright in some cases anyway. Check the Dock and see if you have applications open that you do not use. This can in some cases cause the CPU to work more and thus requires more juice from the battery. You can identify open applications that have a black dot under the application icon. For older Macs the CD drive might spin up if you have a CD or DVD in it, a motor spinning will definitely drain the battery and therefore… take it out. Also check System Preferences if you have the most optimal energy saving features turned on. All these small things adds up in the end, if you follow this guide you will probably notice some increase in battery time. This will depend on the condition of your battery, but if you get 15 or 30 minutes more work time it was all worth it, right? You can easily burn ISO images with Mac OS X. ISO images are a common standard for distributing large software packages. Linux distributions is often delivered in this format over the Internet. An ISO image often contains the complete contents of a CD or a DVD in a single file. When you tell the burning software to burn that ISO file you are basically telling it to reconstruct the CD or DVD from the specifications in the particular ISO file. In Mac OS X we have something called Disk Utility and this application amongst many other things can help you burn the ISO image to a CD or DVD. 3. Find the ISO file and drag it into the left window pane, or from the file menu choose Open Disk Image and select the ISO file. In the list of your hard-drives (volumes) you should now see your ISO file. Select the file and then press the Burn button. Thats all, usually I cancel the verification process but you can let it run if this is the first time you are burning a CD or DVD. Just to check if everything went right. Apple doesn’t want us to change all settings in our os and the time machine backup interval is one of them. By default this backups your computer every single hour. Maybe you want to change it. The settings are stored in a configuration file, so you can actually change the backup interval yourself editing the configuration file. But there are easier ways to do this. The free app called TimeMachineEditor will help you with it. The only thing this application does is to update the configuration file. You can schedule it to your liking. For example backup every week, or daily at night. This little app have never had any issues, but please double-check your backup if you use third party tools like this. Obviously Apple doesn’t support using this, and Apple may change the way Time Machine works in the future.